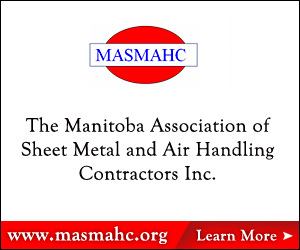 Through the association's 2017-2022 Strategic Plan, the Board of Directors of the Mechanical Contractor Association of Manitoba is committed to providing quality Educational programming for association and industry members. Forming a committee of business and trade professionals dedicated to sourcing, reviewing and developing relevant professional development opportunities; the Board of Director's goal for MCAM Education Week is for it to become a highly anticipated event offered in Fall and Spring of each year. 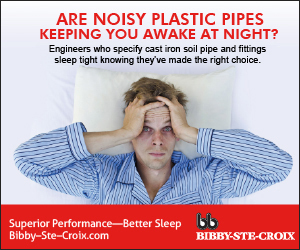 Each day of Education week is targeted at a different audience within the Mechanical Industry. Day one is focused on Owners, Senior Management, Middle Management and Estimating. Day two is focused on Project Managers, Foreman and Supervisors. Day Three will aim to the meet the needs of Service Contractors. Day four is Innovation Day, including industry tours and presentations on new industry technology and trends. Day five is governance day; the MCAM Board of Directors will receive valuable governance training to ensure they have the tools necessary to serve the membership effectively. MCAM Fall Education Week will highlight both international and local speakers. Register for a half day, full day, multiple days or entire week. Select LEARN MORE for Schedule of Events, Speaker and registration details. Prompt Payment Legislation is a hot button topic within the Construction Industry in Canada. 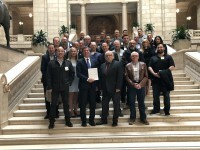 Following the success of Ontario's Bill 142, Manitoba's Conservative Govrnment has been responsive to Industry's requests for a Manitoba Prompt Payment Legislative scheme. The goal of Prompt Payment Legislation is to the see the timely flow of payments within the construction industry and reduce the growing occurance of construction litigation. 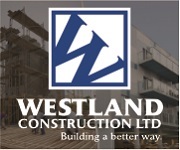 A win for contractors, a win for local Tax Payers. The Mechanical Contractor Association of Manitoba's annual Pioneer night will be held at the histroic North West Company trading post, Fort Gibraltar, Wednesday, October 10th. 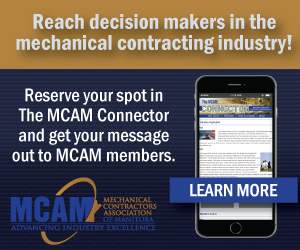 MCAM welcomes past pioneers and current industry members to join us in celebrating our industry Pioneer's contributions to the achievements of the Mechanical Contracting industry. Industry Pioneers are individuals who have made a significant contribution to the Mechanical Industry, beyond those expectations of their employment role. This year will be dedicated to celebrating past pioneers, in lieu of inducting new individuals. MCAM members, affiliates and staff enjoyed a great day of golf, networking and prizes at the Annual 2018 Jamie McNabb Memoral Golf Tournament. It is MCAM's honor to host this annual event in Jamie McNabb's name. A special thank you to Eric Henstridge (Comco) and the golf committee members for organizing yet another successful tournament. MCAM recently hosted the Mechanical Contractors Association Western Regional meetings. The meetings included a President’s Welcome Reception held at the Journey to Churchill exhibit, welcoming Pierre Boucher, new CEO of MCAC, delegate meetings at the Fort Garry Hotel, and an afternoon of cat fishing on the red river. The MCAM Board of Director’s is committed to maintaining a Charitable profile in our home community of Manitoba. MCAM’s goal is to have a positive impact on outcomes for Manitobans. Throughout the year MCAM receives requests of support for worthwhile charitable organizations and/or activities. The Board of Director’s is developing a multi-year approach in line with the timing of the MCAM Strategic Plan for supporting a Manitoba based charities. The intention is for the strategy is to provide a commitment period to the charitable organization for planning and budgeting purposes as well as the opportunity for MCAM membership to nominate a charity meaningful to them. MCAM will be launching a Membership Advantage program in 2019! 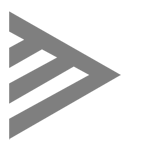 MCAM members will have access to exclusive offers and discounts with local and nation wide business. Through the Membership Advantage Program a multitude of benefits, discounts and special offers will be available. If you would like more information on being part of this program; contact the MCAM Office. The Platform Business Model has found its way into the Construction Industry. A Local Manitoba Startup is connecting Contractors with rental companies saving time spent calling, emailing and messaging suppliers one by one. Applying its fresh, innovative processes and collaborative work approach, Wescan is pleased to be part of the construction team for Assiniboine Park Conservancy’s new Leaf facility at Canada’s Diversity Garden. Leaf will join the many attractions at Assiniboine Park and will be a unique, state-of-the-art Winnipeg attraction. 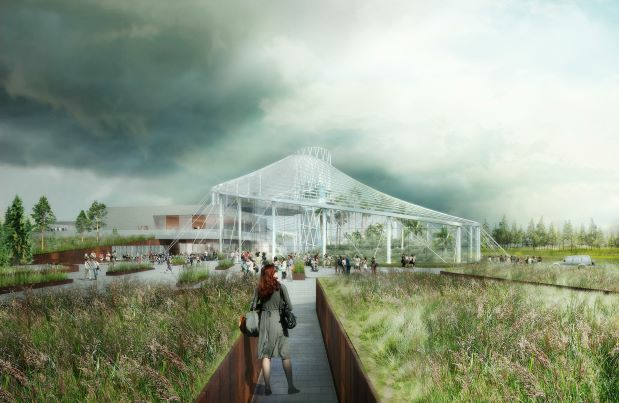 The Leaf will include; tropical rainforest and Mediterranean biomes, butterfly pavilion, event spaces, retail, office and support spaces, classroom spaces with outdoor teaching area, a restaurant with kitchens, and outdoor terrace. Outdoor features will include additional event spaces and courtyards, a viewing terrace, toboggan hill and arboretum.